Drug discovery is in crisis. 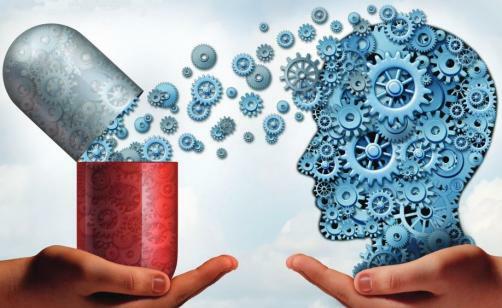 So says Charlotte Deane, Professor of Structural Bioinformatics and Head of the Department of Statistics at Oxford University, in her short article AI and drug discovery: a potential game changer?, echoing the prevailing sentiment in the industry today. The field has always been a challenging one, but with the additional pressures to deliver return on investment and the rocketing costs of the process, the need for effective solutions to quicker, cheaper and more robust drug discovery has perhaps never been felt more strongly. Today, current estimates place the cost of developing a new drug from the earliest stages and securing its marketing approval at more than $2.5 billion, and considering that around 90% of drugs fail before this point on average, it’s not hard to imagine how expenditures in this area can quickly spiral to astronomical levels. And this rate of failure is even higher is more challenging development areas where data are scarcer – between 2002 and 2012 for instance, the failure rate for Alzheimer’s drugs was 99.6%. This alone is benefit enough, but if costs are reduced on the development side, could one reasonably assume that these savings would translate to the price paid by the patient, or whomever the payer may be? So why is technology getting everyone excited right now? The unquestionable promise the technology presents obviously has it poised as the next big thing in drug discovery, but because it hasn’t quite been broken in yet, there are a lot of questions still to be answered as the industry warms to it and begins to understand it. In this spirit, the Pistoia Alliance has been making moves to paint a picture of where attitudes towards the technology currently stand, and where concerns are falling. “We’ve been running a series of webinars as part of a centre of excellence that we set up, because we felt that in order to tackle AI appropriately, we need to be more coordinated as an industry, and that many of the challenges that exist are probably common to all participants and parties,” Dr Lynch said. During these webinars, industry professionals were asked some key questions, and the findings were published in two reports, one released in January last year, and one in June. In the first, which included the responses of 374 life science professionals on AI, machine learning (ML) and natural-language processing (NLP), revealed that 44% of respondents were already using or experimenting with AI, with the majority (46%) of AI projects focused in early discovery or preclinical research phases. As for other applications, 15% were using it in development and clinical (15%), and 8% in imaging analysis (8%). 23% were applying ML for target prediction and repurposing of existing drugs, while 13% were using it for biomarker discovery and 8% for we reusing it patient stratification. However, it was also discovered that a considerable 11% were not using AI at all, and this figure rose to 27% with NLP and 30% with ML, while 8% said they knew ‘next to nothing’ about AI and deep learning, which the Pistoia Alliance noted highlighted the necessity of cultivating greater understanding of the technology through better education and the sharing of knowledge. In the second report, which amassed the responses of 229 life science professionals, it was discovered that 69% of companies were using AI, machine learning, deep learning, and chatbots, denoting a growth in these numbers since the same question was asked in September 2017. This suggests we are moving in the right direction, but 72% still said they believed their sector was lagging behind other industries in its development of AI. This provides a valuable snapshot of the industry as it stands now, but this is just the first steps of a much longer process: the Pistoia Alliance plans to continue conducting regular litmus tests of industry professionals to monitor these trends as they develop in coming years. “We want to follow these trends and hopefully pick up some of the new trends as they develop, because I think it’ll be interesting to see, over the next 18 months, what is the next area that comes forward,” Dr Lynch noted. Of course, while adoption is sure to continue to grow, the path forward will by no means be smooth. Another key reason behind the Pistoia Alliance’s surveys was the drive to identify where the industry’s concerns and anxieties currently stand as they move forward to navigate implementation of the technology. Beyond this, 26% of those responding to the surveys referenced access to data as a key challenge, while 26% singled out data quality. In regards to ML and NLP projects, these same issues were raised by 26% and 19% respectively. Dr Lynch had some key insight to share on this: “If you’re wanting to use AI effectively, you need access to both the volume of data and data of good quality; the old axiom of ‘garbage in, garbage out’ is very true when it comes to AI,” he explained. “The science world is made up of data that could have been generated a long time ago, as well as data that we’re generating in 2019, and you’ve got to make the call as to which data you use in the training phase, because you’ve got to perhaps have some degree of scepticism or be cautious about what data you use. There is the concern of ‘how believable is data that was collected five or ten years ago?’, as well as hoping that you can fully understand it, because AI is somewhat of a black box; your ability to fully interrogate the model is somewhat lost because of the way it’s built – it’s multi-layered and quite complicated. So you’ve got to have a lot of trust in your data and your ability to model it, and that’s why the data part of this is so important: because if you train incorrectly with data that you’re not sure about then the risk is that your model is taking you in the wrong direction. While the potential of AI as a dynamo for drug discovery is beyond reproach, it’s clear that we are very much in its nascent stages with regards to fully realising it. As Professor Deane notes: “Many challenges remain: none of these methods are accurate to a level that can be used without significant amounts of wet lab experimentation. All of them require human interpretation, and there are still real questions about the generality any of them can or will achieve. Key to progress in this area will be the expansion of our understanding and knowledge base, and also the sharing of that base among professionals in the industry to solve the problems that are faced by all. With its ongoing approach to interrogating the industry and provoking thought in this area, the Pistoia Alliance look to be on the front lines with regard to cultivating just that.